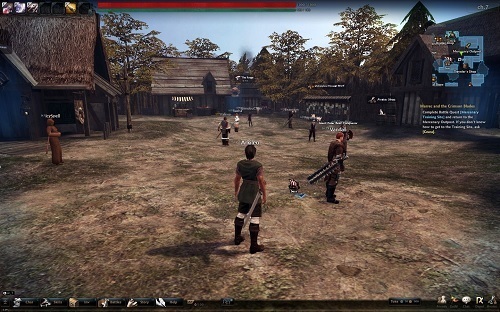 Vindictus is a MMORPG is set in the same universe as the popular Korean MMO of Mabinogi. The game is heavily focused on combat and with its action approach to this system it’s much more engaging in comparison to other options out there. The first thing you’ll notice about the MMO is the way that the story is woven into the start of your experience. It makes the game world feel more realistic before you take your first few steps in it and is just generally the mark of a higher quality MMO. The setting for your adventure is presented with impressive graphics and set in a world torn apart by war. Players will play as a human as they fight against the Fomors in a series of episodes that players can tackle at their own pace. If you don’t want to follow along the main story the game definitely doesn’t force you to do so with plenty of freedom to do your own thing. 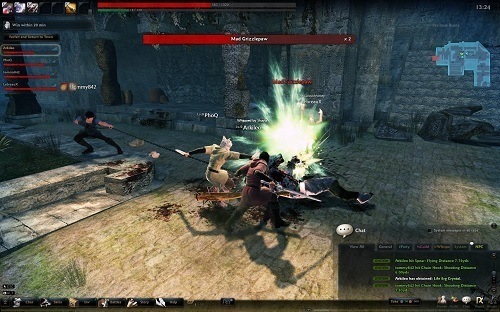 Characters and classes are linked in Vindictus with players having seven characters available to them that come with their own skills, abilities and playstyle. While you’ve got a few visual customisation options it’s not the most in depth creation system. This isn’t necessarily a bad thing in Vindictus because the characters are all really well crafted. Gameplay is about as fast paced as you can get with an action take on the MMO genre that will have you hacking and slashing your enemies. Unlike traditional games that use a targeting system you’ll have greater control over your character as you line up your targets and swing your weapon in their direction. With the ability to also dodge you’ve got something fast paced but also very tactical that allows carefully planning and timing to help you bring down those tough enemies. Vindictus is one of the best (if not the best) action orientated MMO and great for first timers to this sub-genre or long time veterans of action MMOs. Fast paced and fluent combat system. In depth world and story to experience. Good variety in enemies requires you to change up your strategy. Well-designed characters with a good array of skills. Free to play with a fair and balanced Cash Shop of goodies.